A new study by an international team of scientists, including the University of Bristol, has discovered that plants adjust their daily circadian rhythm to the cycle of day and night by measuring the amount of sugars in their cells. Plants, animals, fungi and some bacteria can estimate the time of day through their circadian rhythms. These rhythms are regulated by an internal 'circadian clock', and how these clocks operate is a topic of importance for both agriculture and medicine. For example, changes in circadian rhythms have contributed to domestication of crops. In the study published today, in the journal Current Biology, the research team involving the Universities of Bristol, Cambridge, Campinas, Sao Paulo and Melbourne has discovered a process that adjusts the timing of the plant body clock so that it stays in tune with the environment. They found that sugars made from photosynthesis are sensed, and this leads to the plant falling into rhythm with changes in energy provision throughout the day. Dr Antony Dodd of the University of Bristol's School of Biological Sciences, said: "Our findings show the first mechanism in plants that shifts the circadian rhythm backwards or forwards to synchronise it with the environment. "The plant continuously measures the amount of sugar in the cells and uses this information to make the required adjustments." 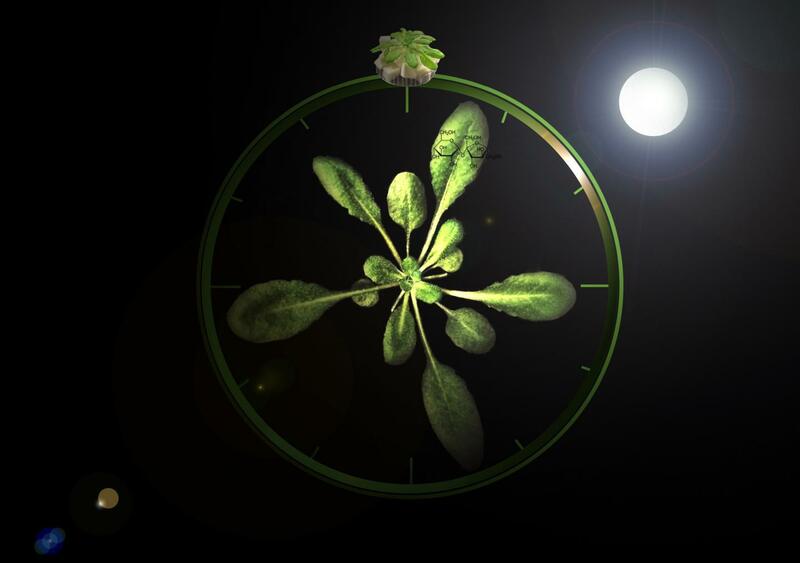 Plants need circadian their rhythms to be correctly synchronised with the timing of day and night, so their activities are matched to the time of day. For example, circadian rhythms control the time when plants grow, when their flowers open and release scent, and allow plants to carefully use energy reserves so they do not starve in the night. Circadian rhythms also help plants to detect changes in the seasons, which is crucial to ensure our crops mature in the correct season. Dr Dodd added: "This means that the discovery of a mechanism that synchronizes the plant body clock with the time in the environment has identified a new process that could be exploited in future to improve crop performance."